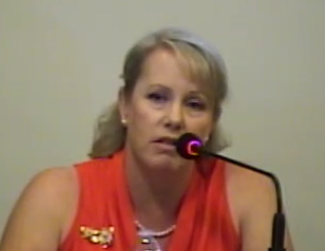 At the recent City of Arroyo Grande candidate’s forum, mayoral candidate Caren Ray said she believes Mayor Jim Hill is “no longer effective” at the South San Luis Obispo County Sanitation District. Having attended sanitation district board meetings for nearly 10 years, I can say without hesitation, no one in the entire south county is more knowledgeable about the sanitation district. No one has been more effective on that board than Jim Hill. As the Oceano representative to the district board, Hill called for bifurcating the twenty-year old Wallace contracts for engineering service and administration in 2010. When Hill became Arroyo Grande’s write-in mayor in 2014, it was his leadership that halted the over $1 million litigation the former mayor Tony Ferrara board levied against the State Water Board. Hill spearheaded the effort to investigate former Administrator John Wallace, resulting in charges brought by the SLO County District Attorney. Wallace pleaded no contest to two misdemeanors and restitution was paid to both the sanitation district and the Avila Community Services District. In a 2011 SLO County Grand jury report Wallace was found to have conflicts, yet Wallace took his show on the road, appearing before each of the member agencies in an attempt to convince each board and council member that because the sanitation district board members approved contracts with his engineering firm in an open public meeting, the conflict was, in essence, waived. Hill continues to be effective in spite of his detractors; he has supported very important projects at the sanitation district including redundancy, rehabilitating a digester, the bar screen and grit removal systems. These are the stepping stones to the recycled water resource everyone in the south county wants. By recycling the districts wastewater, the sanitation plant can reduce its discharge to the ocean. Hill has also supported the financial partnership with Pismo Beach on the Central Coast Blue project Environmental Impact Report. Hill has followed the district’s finances like no other board member, finding errors and calling for answers. He has spent an inordinate amount of time painstakingly editing the Personnel Policies and Procedures Manual, finding errors in fact and in law. Hill’s detractors are Ray’s supporters. Former and current sanitation district chairpersons, John Shoals (Grover Beach) and Linda Austin (Oceano) and current Vice-Chair Barbara Nichols, all have conflicts of interests. Both Shoals and Austin are currently under separate investigations by the Fair Political Practices Commission. Vice Chair Barbara Nichols is the wife of former district chairman Bill Nichols, the same Bill Nichols who voted to approve Wallace Group contracts and signed the sanitation districts response to the Grand Jury in 2011; that basically told them to ‘go fly a kite’. Currently, the district appears to be contemplating civil action against Wallace. Nichols is conveniently positioned to protect her husband from the potential fallout from any potential lawsuit. She should not only recuse herself, but she should be replaced as the Grover Beach representative on the sanitation district board. It is important to note that Caren Ray was endorsed by John Wallace in her 2014 race for Supervisor. Ray should get her facts straight before she challenges Mayor Hill on his sanitation district record and who at the sanitation district is “effective” and who is not. Oh God Yes Lets promote the idiot to the head of the class, thats what we do right? Right? Caren Ray is a criminal crony of Erik Howell and Adam Hill. It is a bad joke to consider her for office. No more nonsense, please. I CANNOT support Caren Ray! Unfortunately, Caren Ray is unfit to hold public office, and her character and judgement are suspect, to say the least. To avoid redundancy, I will not repeat her mischaracterizations and misunderstanding of the situation at the South Coast Sanitation District, albeit to say her ‘friends’ there have resigned in disgrace and pled guilty to criminal behavior. Of greater concern is Caren Ray’s lack of candor and judgement in the scandal she was involved in whereas she was caught running around the Arroyo Grande community naked and apparently under the influence of alcohol. Hardly a childish prank, this occurred while Ms. Ray was an adult and a public schoolteacher, and one has to wonder about the judgement and character of someone who would think that behavior was acceptable. Caren Ray has never even tried to explain this scandalous behavior to the public, and, on the contrary, she childishly defended it without success. The citizens of Arroyo Grande deserve serious, adult leaders who show good judgement and solid character, and Caren Ray fails that test. While Ms. Ray desperately attacks Mr. Jim Hill, serious citizens have to discount Caren Ray’s attempt to crete a false political issue with her attacks on Mayor Hill. Contrary to being part of the solution, time and time again, Caren ray has been part of the problem. Confucius said that, if a person’s character was unknown to you, look to his friends. Caren Ray’s friends are people like convict John Wallace, John Shoals, Erik Howell, Adam Hill, Heidi Harmon, Mary Lucey, Christine Barneich, Linda Austin, & Barbara Nichols. Get it? Her list of supporters reads like a ‘who’s who’ of public official idiocy, and we cannot trust Caren Ray’s judgement or character. In November, Vote to Reelect Mr. Jim Hill as Arroyo Grande Mayor. George Bailey is Correct , All this stuff was know the first time she WAS Placed on City council , I myself and others Brought this up But no one Listened ..Are they Listening now My guess is Not .. Lets see , there was Video online of her..
What Can people do if you will not listen, every time you turn around she is doing some thing Crazy .. Over & over .. its Fact.. Thanks to the Good Ole boys like Tony Dropping her on your lap.. the jerk..